The concept of a digital twin, sometimes referred to as a device shadow, has been around for some time, but with the advent of Artificial Intelligence and the Internet of Things, the concept is starting to gain greater prominence. But what exactly is a digital twin and why does it matter? In simple terms, a digital twin is a virtual model simulating a physical process, service, or system. Although the phrase may conjure images of a 3D computer model that looks like its real-world counterpart, a digital twin may also be more abstract, focused on what a product does and how it operates, rather than its physical appearance. By creating a digital manifestation of a real-world asset, designers and engineers can more easily test for efficiencies and identify problems without having to prototype each iteration physically. The net effect of this is the reduction of downtime and the possibility of better future planning. Where Did the Concept of Digital Twins Originate? Michael Grieves of the University of Michigan first introduced the idea of real-time digital modeling for physical objects in 2002. At the time, the concept was referred to as Mirrored Spaces Model, but over the years, the phrase "digital twin" has become the more recognizable term for what Grieves first outlined. Since that time, digital twins have been adopted and built upon by a range of industries including aerospace, healthcare, and automotive. A digital twin uses sensors to capture the current state of a physical object, including its position, working condition, composition, and more. That raw data is then transferred to its virtual counterpart in near real-time, allowing for diagnostics and prognostics testing. Data parsing, processing, and modeling can occur across a local or cloud network, which enables the testing of parts and items that are physically difficult to reach. A key advantage of digital twins is the ability to collect and analyze data from geographically distributed products. A good example of a digital twin at work is the space industry. Being able to run near real-time analysis on a craft as it travels through space allows engineers to identify and mitigate potential problems before they occur. Digital twins can also be useful for understanding disparities between two identical items that are not in the same place. For example, two electric cars from the same factory could end up with customers living in different climates. Being able to remotely collect data from a vehicle driven in hot Nevada and another in cold Michigan allows a vehicle manufacturer to see how weather affects battery performance. 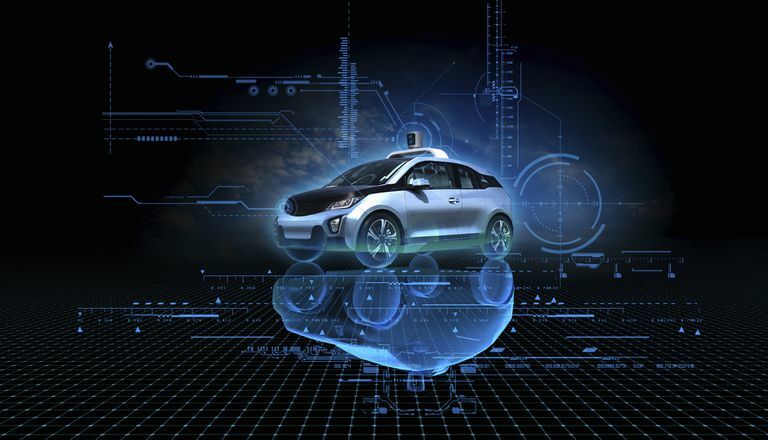 By using a digital twin, the carmaker can run a range of AI tests to diagnose problems or identify new efficiencies without having to inspect those vehicles in their real-world environments. Gartner predicts 21 billion physical items will have a digital twin counterpart by 2020. Additionally, the median cost of IoT sensors is forecast to be $0.38 by the same year (down from an average of $1.30 in 2004). And when considering the cost of cloud computing remains historically low, it's easy to see why digital twin technology is on an upward trajectory.